We had SUCH A great time at the exclusive Walk The Talk fashion event! Industry insiders have been blogging away and of course that fills our fashion-forward little hearts with joy! Check out this write-up by ThisBrownQueen.com and be sure to visit the blog as well! Thanks for coming, love! Queens! Happy Monday! I hope you all had another fabulous weekend and are ready to c’est la vie this week! The countdown has begun, the year is almost over, and I hope ya’ll are making the most out of it! So today, I’m really excited to share an awesome event I had the pleasure of attending over the weekend. 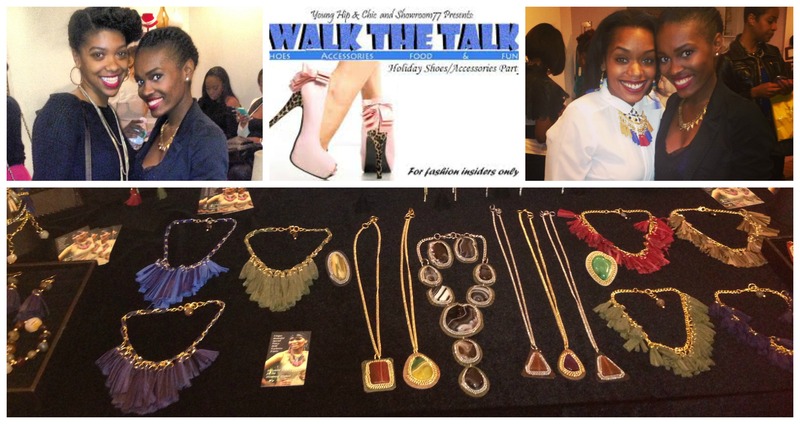 On Sunday, the 2013 Walk the Talk Holiday Shoes/Accessories Party presented by Young, Hip, & Chic was held at Showroom 77 in Philly. This was an exclusive fashion insiders event with networking, shopping, insane giveaways, and delicious food!